This image was composed to express my feelings after the March 11, 2011 tsunami in Japan. Tall burning buildings bow under the weight of a tsunami; but as much as this is a violated cityscape, it is also peaceful abstract poem in shapes. 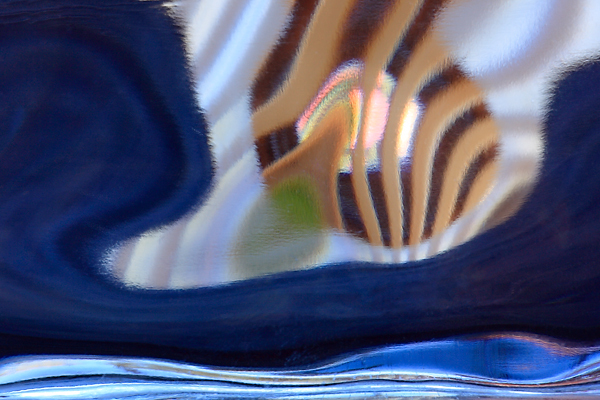 For this mixed-media artwork, I paint clear and viscous oils onto warped glass, photograph the subject through the glass, and then print the image onto an archival cotton-rag paper.